When you sign up for Verizon FiOS, they throw out an offer that many customers take at surface value: you can rent your router from them. The assumption is that you will be getting the best router for Verizon FiOS, but that is not the whole truth. There is not just one type of router on the market that works with Verizon FiOS and you do not need to rent one. This is why you should buy. In some instances, renting a router for Verizon FiOS might be the best option. You are moving out soon. No reason to buy a router and have it possibly not work in the future. You are not the one footing the bill. If you work from home, in some cases, bosses will pay for the internet, including renting the router for you. You have a complicated living situation. Roommates do not usually spend a lot of money on joint possessions. In the case of the router, if one roommate purchased it and then moved out, it just gets messy. Renting would make the most sense. For $10 to $15 a year, you can rent the router and then send it back if you cancel your internet. One of the biggest perks of renting a router for Verizon FiOS is that if it is defective, they can replace it for you. Realistically, buying a router for Verizon FiOS makes much more sense than renting one. The cost of renting adds up. If your rental fee is $10 a month, for example, that’s $120 after one year, which is in the range of what you would think to pay for a new router. But renting for two years puts you up to $240, which could have easily paid for a nicer router. You have more flexibility to customize. If you are not dealing with a company, you get to personalize all of your router’s settings to be what you would want it to be. You can get the features that you want. Renting a router means settling for whatever speed and security come in that rental. If you buy, however, you get to choose what type of router it is, including the number of ports, security settings, and efficiency. Financially, it makes a lot more sense to just buy the router than to rent it from Verizon. 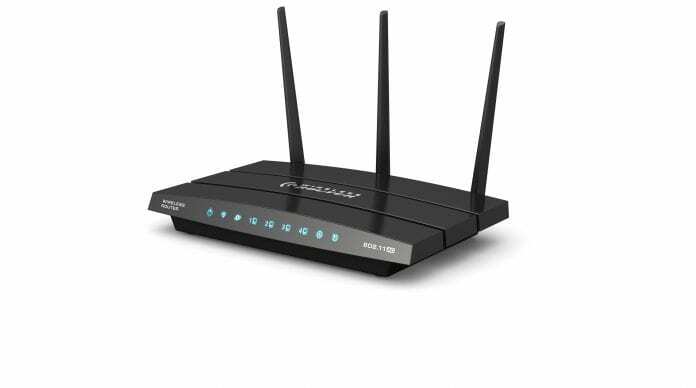 In some cases, you can buy the router directly from Verizon instead of renting it, but you would be stuck with a certain type of router without options. Then again, you would know for sure that the router works with Verizon FiOS and if it isn’t working, you might have a connection issue. To begin with, you have to make sure that the router will work with Verizon. They should have a list on their website with the approved routers and modems that you can choose from. If you are moving in the future, remember that your router might not work with other providers. Your router also needs to have the ability and speed to keep up with your online activity. Users running a small business are going to need different connections and speed than users who stream movies and games steadily.